Increase Sales. Motivate Employees. Retain Customers. Promote Safety. Build Your Brand. In 2005, best-selling New York Times author, Tom Friedman, said, “The world is flat.” In 2008, he updated the story to “Hot, Flat, and Crowded.” These are interesting metaphors, that refer to global competition, and the so-called ‘leveling’ of the playing field. But in your business, you can tilt the playing field in your favor and create a competitive advantage to move forward. We can help! 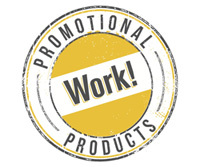 At Flat World Design, we design, create, and deliver promotional marketing solutions, that can help you increase sales, motivate employees, retain customers, promote safety, and build your brand. We can help you tilt the playing field. To your advantage. That’s just what we do! Confused about next steps? Click here to read our responses to frequently asked questions. Thank you for your consideration and enjoy your visit!